It’s been a while since I did that post, and my friend R was encouraging me to do another, so I decided I would. But those posts take lot of time and planning to write. As I was thinking about how to go about it, this idea popped in my head and I thought it would be fun. You might notice there are a lot of Amazon affiliate links here, but trust me that isn’t my motivation for doing this. That’s just a way for Puja and I to cross our fingers and hope for a little income. We haven’t seen any income from Amazon affiliates yet, so we definitely would not be motivated by it. 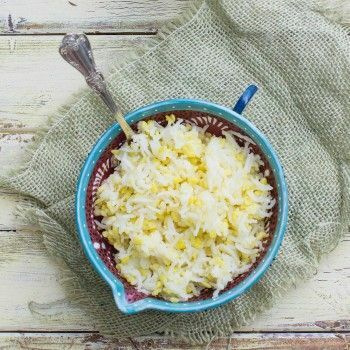 To do this post, Puja and I went in the kitchen and alternately picked up an item we love to cook with. It actually turned out to be pretty difficult to choose only five each. But surprisingly we had little to fight over in terms of tools. 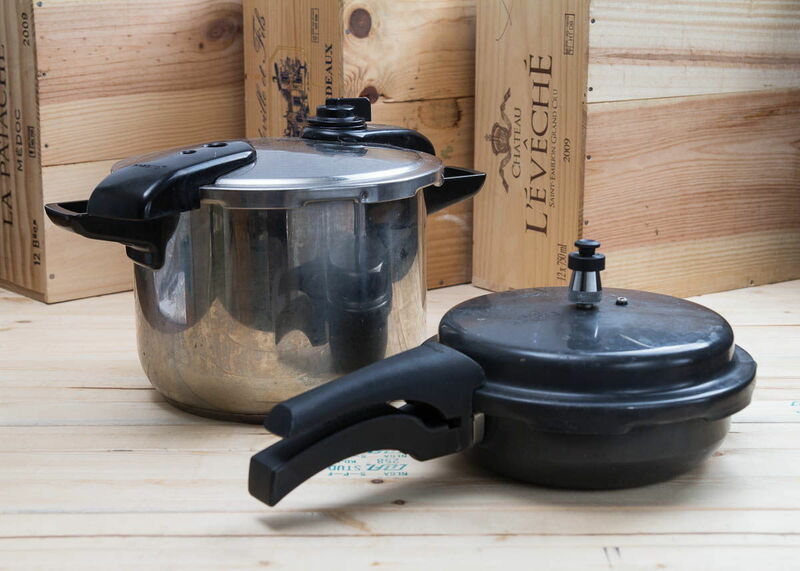 We had very separate favorites, with the possible exception of the pressure cooker and microplane, which we decided to swap in the end. This post was exciting because I got a lot of product photography practice, something I hardly do at all. In the process, I shot the pictures I’m going to use for my next photo techniques post, so that will be coming very soon! I can’t think of any kitchen tool used more than the chef’s knife. I use it to cut onions, mince garlic, chop cilantro, slice, dice, you name it. From the first time Puja and I bought knives I insisted on getting a good chef’s knife. Good doesn’t mean expensive. The first one we got probably cost $40. It was great, but one day Puja dropped it and the tip broke off. At least she was able to move out of the way or else she could have lost a toe too! After that happened, we went out to buy another and made the mistake of buying a big set of mediocre knives to replace it. What a waste of money. 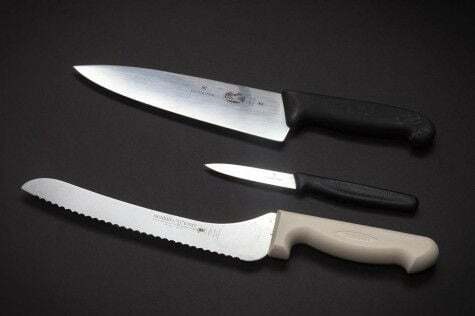 You really only need three knives, a Chef’s knife, a paring knife and a serrated knife. Some people prefer Santoku knives to Chef’s knives, to each their own. And we have a cleaver from the set that comes in handy from time to time, especially for breaking open coconuts and squash, but I’d hardly consider it necessary. 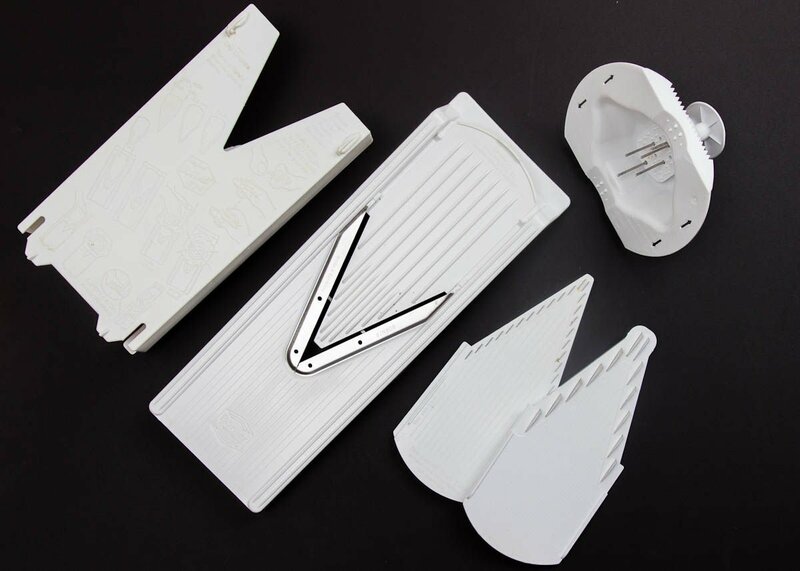 (the Swiss Army Knife company). We heard about it on America’s Test Kitchen, it’s such a great knife for only about $30. that I love. Because it is so small and light it kind of feels flimsy, but it is sharp and really gets the job done. It costs less than $8.
. I hate to call it a bread knife because it is useful for so many other things. They are so fantastic at cutting through a hard crust without crushing the soft bread inside. But you can also slice tomatoes with them without crushing the tomato, just use gentle sawing motion and don’t force the knife down. Most recently we used it to cut through mint avocado kulfi because I needed to get a perfect, even cut across for the pictures to look good. We got our bread knife at a Costco Business Center. If you are lucky enough to have one around you, I would definitely recommend checking out their restaurant supplies. I do almost all of my cooking in the skillet. They are great for sauteing, frying and reducing sauces. So much Indian food is made in the skillet, like most shaaks. Flatbreads are easily heated on a skillet (unless you have a tava or want to do it directly on the flame). If you want to reduce something fast, such as a sauce, definitely use the skillet rather than a pot. The larger the surface area the faster the rate of evaporation. The first thing I learned to cook from scratch on my own was probably chicken fajitas. How easy to just chop up some onions, bell peppers tomato and chicken, throw it in the skillet with some spices and cook it until it looks right. Any Asian stir-fry cooked at home should be done in a skillet on med-high heat (as opposed to a wok which requires a large flame to work right). Lately I’ve been making these potato-egg scrambles. I microwave a couple of potatoes, brown some onions and peppers if I have them, then chop up the potatoes, throw them into the skillet to brown and then break a few eggs over it and scramble it around.
. A cheap one will not distribute heat very well, you will have terrible hot spots and probably burn a lot of your food. It should have a good weight to it, but not be too heavy to move around. 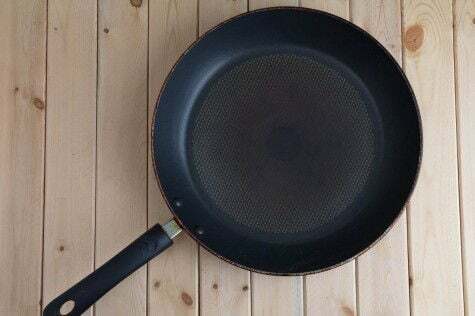 You should always hand wash your non-stick skillets. The dishwasher is very hard on them and the surface will wear out faster if you put it in the dishwasher. The food processor isn’t for everyone. A lot of people get them and never end up using them. What sold me on ours was I really wanted to start making bread, and it’s great at kneading dough. We always leave ours on the counter so that it gets used. We use it for making chutneys, soups, hummus, pizza dough, bread dough, naan, shredding cabbage, cheese (when we need large quantities), potatoes for hash browns, making peanut butter and probably a bunch of other things I can’t think of right now. 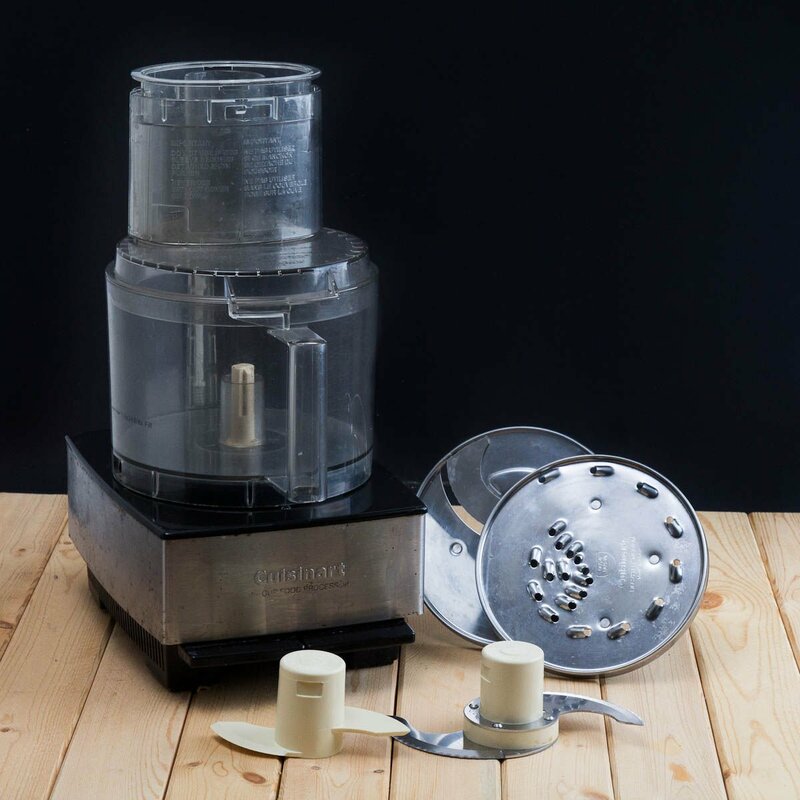 The main advantage of a food processor over a blender is that it doesn’t require liquid to chop things up the way a blender does. This is helpful with chutneys so that they do not become too watery. The only problem with food processors is their size. Ours is 14 cups. It won’t work very well if you want to puree a small quantity of something, like spices or chutney. 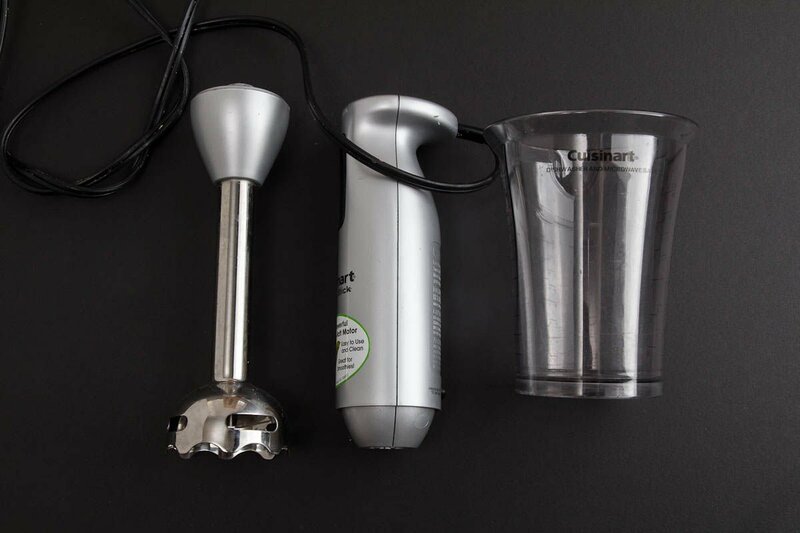 They make smaller food processors that could work in those cases, or you can do what we do, and use an immersion blender or spice grinder. Our humble steamer. Look how grimy and worn out it looks. It’s lived a life. It was actually a hand-me-down from my parents. It originally had some parts for making rice in it too, but those are long gone. 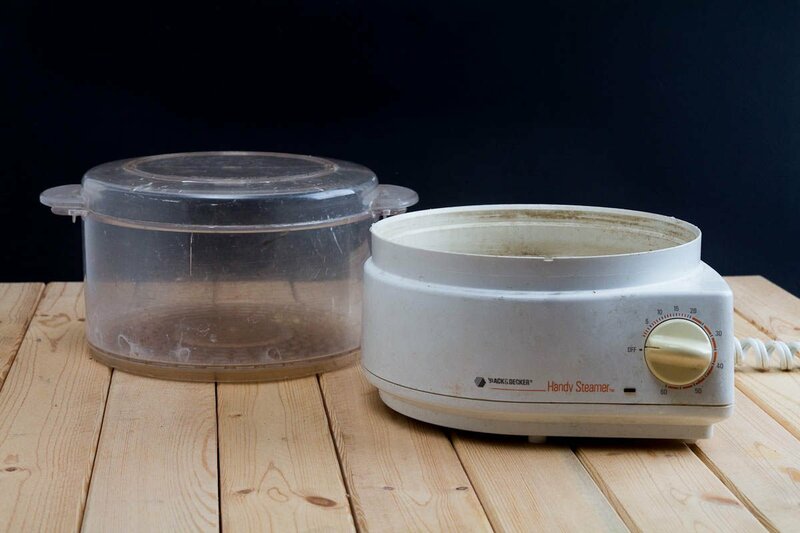 We mainly use it for steaming vegetables and making hard boiled eggs. With it’s built-in timer, it’s the simplest way I know of to make hard-boiled eggs. You don’t have to wait for a pot of water to boil, it steams almost immediately when you turn it on. I also love to make beets in it. In the morning I’ll fill it with beets, crank it up to 60 minutes and by afternoon they are fully cooked and cooled. Then I remove the skin, chop them up, throw in some red onion, yogurt, chili powder, aged balsamic and pistachio nuts. Perfect little, super healthy salad. It’s also great for steaming artichokes. We also sometimes make a healthy little vegetable meal for our dog, Xaria. We just chop whatever’s around, carrots, cabbage, squash, throw it all in, steam it and forget about it until her dinner time. We don’t have to think about it at all, she doesn’t care if her vegetables steam for too long, she loves them anyway.
. My parents didn’t have one. I had tried many times to make refried beans from dried pinto beans, but I never got the texture right. In fact, they didn’t even taste right. Until one day I decided to figure out how to make beans in Puja’s pressure cooker and they came out perfect. The beans that I had cooked for hours and hours took only about a half hour in the pressure cooker and they came out as soft as they were supposed to. Most of the time we use our pressure cooker for dals. But Puja also makes a vegetable dumpling dish called Undhiyu in the pressure cooker. It’s nice to have two sizes of pressure cookers. 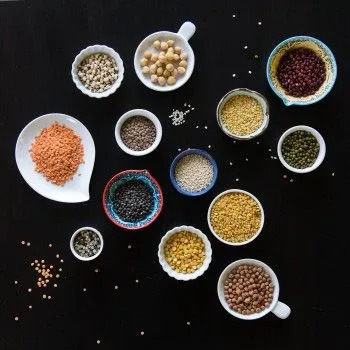 The smaller, 4 quart one is perfect for making lentils for 2 people, while the larger one is great for cooking for lots of people, or making extra to save for later. Most of the dishes we make in the pressure cooker, like chana masala, keep well and are perfect for leftovers. being used on the Food Network and the Martha Stewart show all the time and tell myself that I would get myself one soon. It took me years to finally get one but when I did, I fell in love! 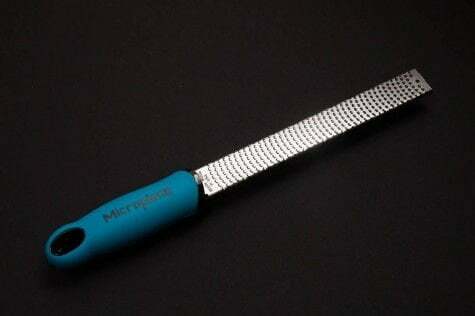 It is so much easier to make a paste with the microplane than to use a blender or a knife. I use it all the time. To make ginger paste for chai, to make garlic paste for curries, and to zest lemons for desserts. I even use it to make green chili paste. I have to be careful when I do this though. I can’t tell you how many times I’ve gotten capsacin all over my fingers and then touched my eyes, so painful! 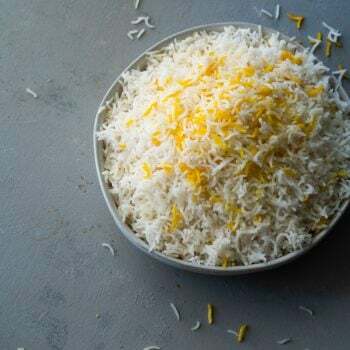 It is also great for grating nutmeg and for finely grated Parmesan cheese. for spices changed my life. It is so much better at grinding a mix of spices for chai masala or garam masala. When I first moved out on my own, I only used boxed spice mixes that I bought at the Indian store. Although I still continue to use them sometimes, I really love making my own mixes and experimenting with spices from scratch. And I couldn’t do it without my spice grinder. as a wedding gift. Burned fingers no more! I can just stick the immersion blender straight into the bubbling pot of soup or curry and blend for a creamy well blended mixture without all the transferring back and forth. In fact, I even prefer the immersion blender for making chutney now, it makes it so easy to get the texture right. I use my 5 quart Dutch oven far more than I thought I would. It has a super thick bottom so I can walk away for a few minutes and not worry about burning the food I’m cooking. I use it for reducing milk to make rabri, soups and curries, and I even make bread in it. Steve often uses it to heat milk when he makes yogurt. It is such a versatile pot. My tava is one of my all time favorite kitchen tools. I never put mine away, it just hangs out on the stove because I reach for it so often. A tava is simply a cast iron pan. It is thinner than the cast iron pans we’re used to in US because it’s made specifically for making flat breads. It heats up fast and provides even heating. It is great to have if you are interested in making lots of Indian flat breads. 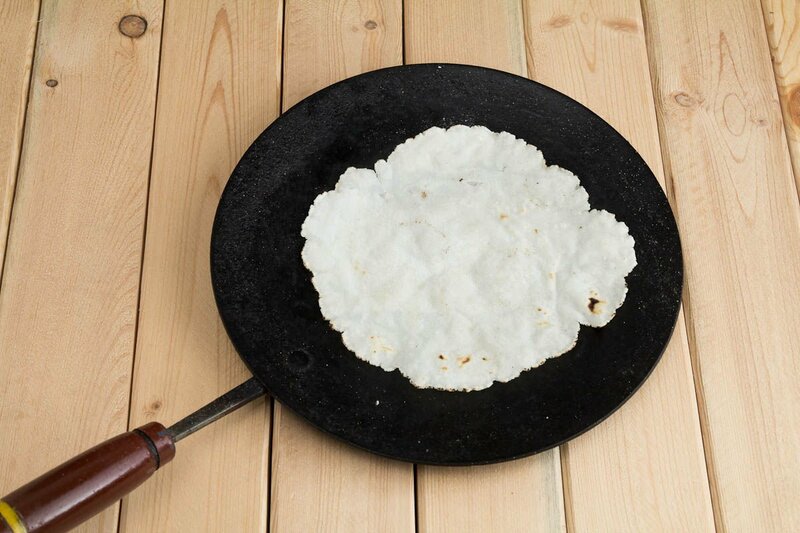 The tava makes cooking roti and paratha so much quicker. I also use the tava to dry roast spices and nuts. I heat tortillas and pita breads on it and even make quesadillas on it when I want a quick lunch. I searched on Amazon for these, but all that came up were non-stick. I can’t promise they will work the same way, mine came from India, and you can sometimes find them in Indian grocery stores.
. It makes perfect, super thin slices out of just about anything from carrots, to fennel, to tomatoes and cucumbers. It even makes matchstick cuts with a simple sliding motion of your hand and saves on so much knife work. demands an honorary mention as well. 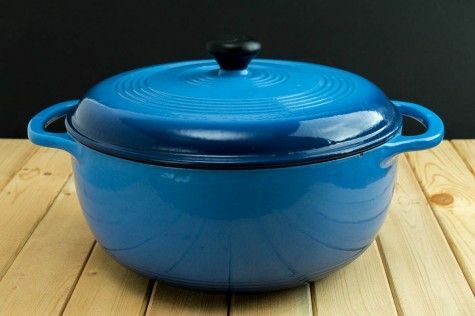 They are great when you need a nice heavy pan that you can use on the stove and then transfer to the oven. Or as a sandwich press. And the big one really came in handy last year when we went camping. We were able to use it on the charcoal grill to make eggs and a few other things. What are your favorite cooking tools? 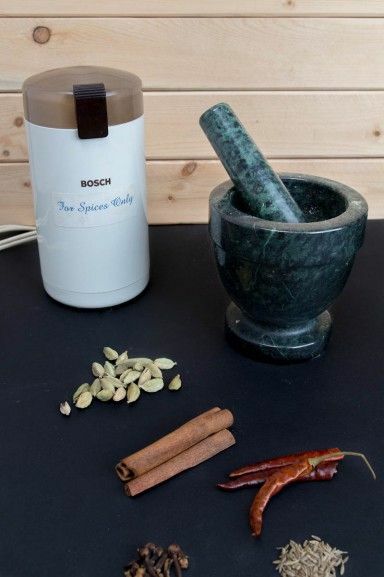 Comments on "Our 5 Favorite Kitchen Tools"
What an interesting post! I just love your dutch oven, it has such a beautiful color. The kitchen tools that I might love most are my iron pan with a square pattern, my truffle slicer (which I use as a slicer for many more things than just truffles) and - currently - a thing which I don't know the English word for, but it's used to get pits out of cherries. Oh, and I just love my vintage canning jars with metal cips and rubber bands. Claudia, I love your kitchen favorites! I don't have a cherry pitter (that's the only English name I know) but I think I need to get one now. I made a cherry clafoutis sometime ago and ended up using a bobby pin to pit them. It took forever!